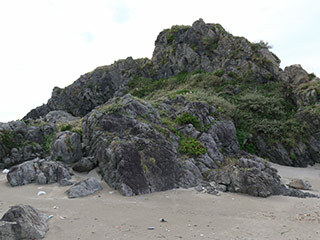 Senga Rock (千騎ヶ岩) is one of the scenic beauty spots of Choshi, Chiba Prefecture. It was already introduced in the Edo period. This rock is about 210 million years old. Senga Rock is not only the scenic spots, it is also known as the temporary habit for the seabirds.